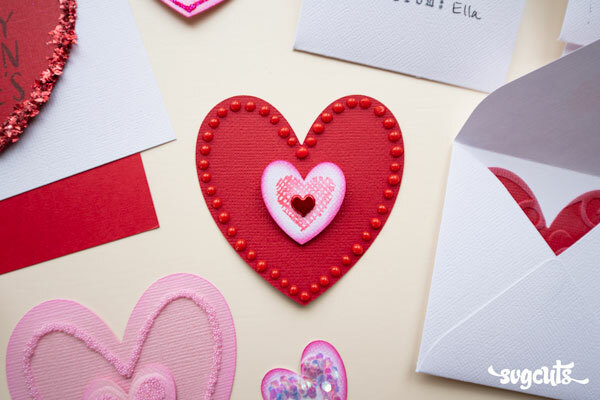 Wake up your craft supply stash, because these are oh-so-fun to decorate! 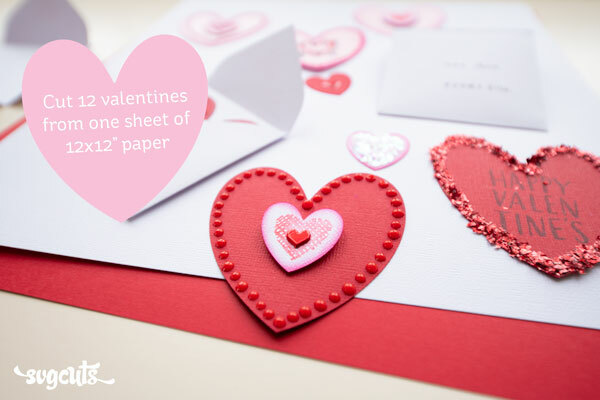 Best of all, you can cut 12 of both hearts from one sheet of 12x12" paper. 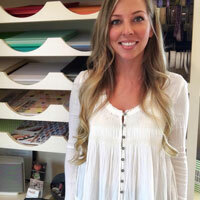 AND you can cut FOUR envelopes out of one sheet of 12x12" paper. A printable PDF Menu is included in your download. (Or you can view it on your computer.) All of our downloads include a similar PDF Menu which shows all of the shapes and gives extra information and tips. Hope you find this project useful! If you make it, I'd love to see a photo! 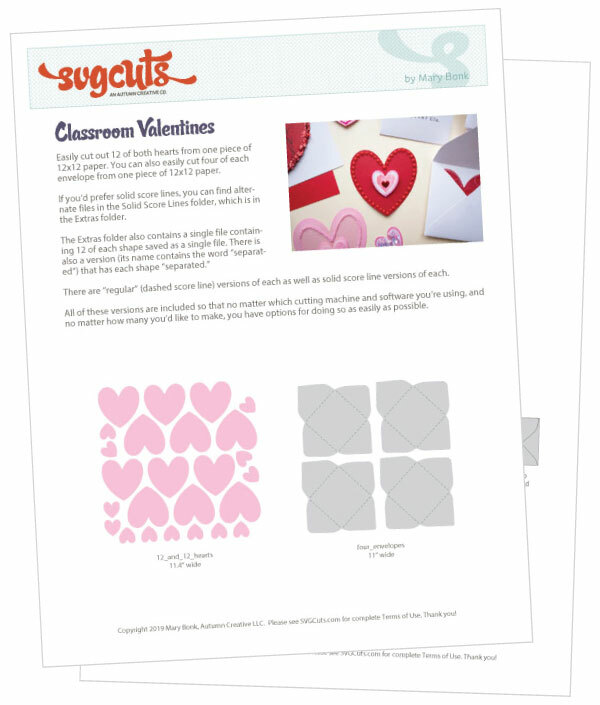 All downloads are in Zip format and include the SVG Files for use with any SVG-file-compatible software, such as Cricut Design Space, Sure Cuts A Lot, eCal, Canvas, Make-The-Cut, and Silhouette Studio Designer Edition, etc. Like the Freebie? 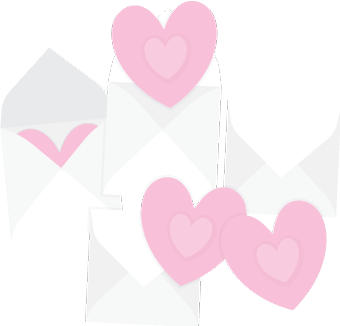 Check out the new Love Letters SVG Kit! We are currently offering all five projects FREE with qualifying purchase through January 31st, 2019! 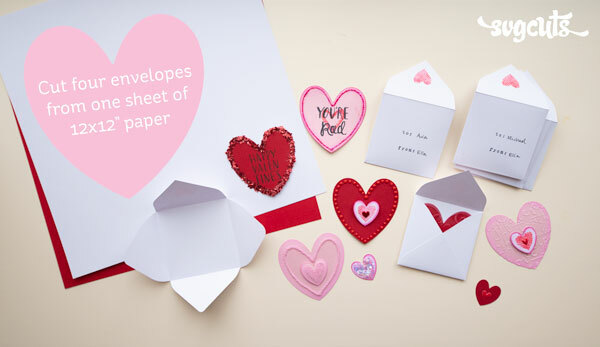 Click the photo above or the Shop Now button to learn more about the Love Letters SVG Kit promotion.